KGI analyst Ming-Chi Kuo, who has been a reliable source of information on unannounced Apple products, expects that the company could introduce an entirely new MacBook model at the next week’s Worldwide Developers Conference. 9to5Mac managed to obtain a screenshot that demonstrates part numbers, as well as prices of forthcoming Mac models and some accessories. The full list of part numbers includes 27 items. The first product on the list, part number MC414, is described, as "K31 Best" would represent a new AirPort Express. 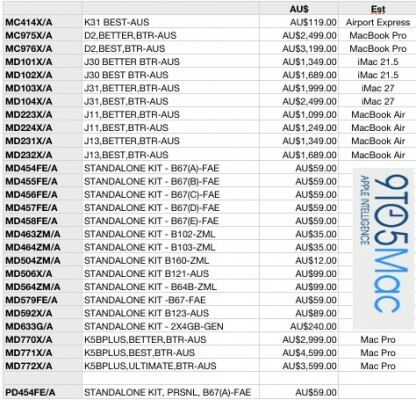 The next group of part numbers includes a pair of "D2" machines with prices above AU$2000 and AU$3000 respectively, and these parts could represent new 15-inch MacBook Pro models. According to 9to5Mac, Apple is going to update “at least four” out of company’s five Mac lines at Worldwide Developer Conference on June 11. 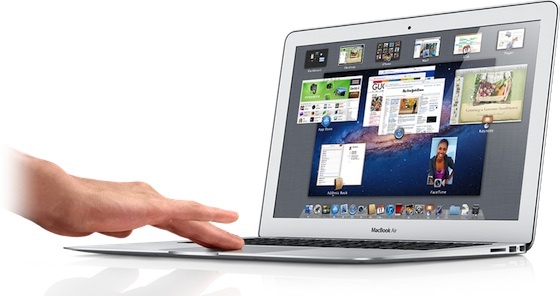 Apple’s current Mac families are MacBook Air, MacBook Pro, iMac, Mac Pro and Mac mini. The most likely candidate for an update is the MacBook Pro that has been reported by multiple sources to be adopting a slimmer form factor with the upgrade. RBC’s analyst Amit Daryanani issued predictions that Apple would revamp its MacBook portables later this quarter and release a new iPhone in September or October, echoing expectations for Apple's near-term plans. 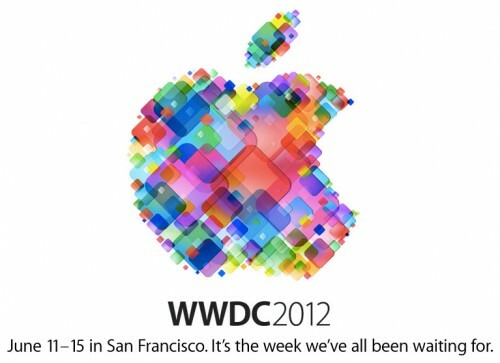 The iPhone is the company's "flagship product". 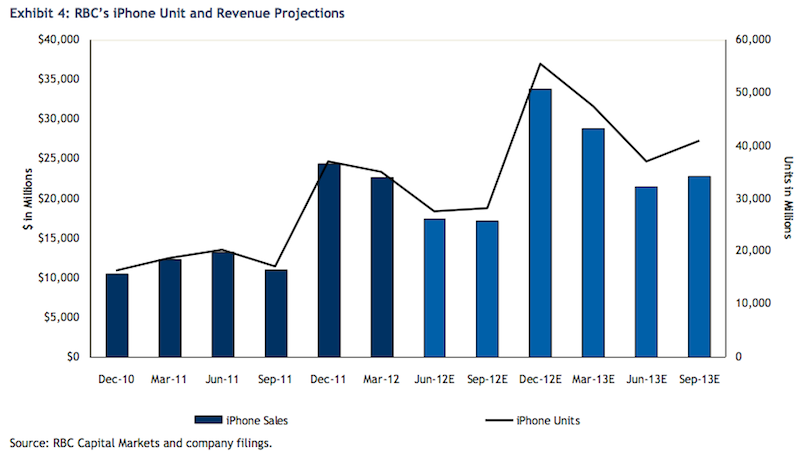 43 percent of Apple's revenue in fiscal 2011 came to iPhone. Apple's apparent two-year design cycle could cause "increased seasonality" as consumers catch on to it and hold off on purchases. 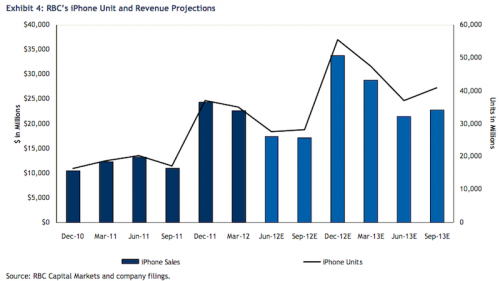 That explains just 21 percent growth in iPhone shipments year over year in the fourth quarter of 2011, compared to 91 percent growth in Q4 2010. According to CNET’s report, "Retina" or "HiDPI" displays widely rumored to be used in MacBook Pro models are now available in the supply chain and they costs up to 100$ more than existing non-Retina displays. Senior Analyst in DisplaySearch Richard Shim said that a 15.4-inch Retina display with 2880x1800 resolution and 220 ppi density currently costs about $160, compared to the 68$ Apple spends on displays in current 15-inch MacBook Pro models. 9to5Mac has reported that Apple is indeed planning to bring Retina displays to the MacBook Air alongside the next-generation MacBook Pros and iMac family. 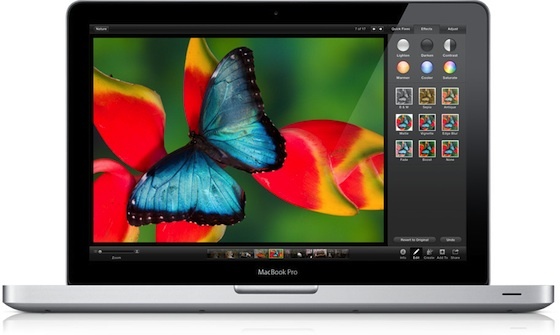 Retina display will be the most significant change for the next-generation MacBook Airs line. Joanna Stern from ABC News claims that not only the MacBook Pro family but also the iMac line is set to gain ultra high-resolution "Retina" displays. The laptop will see the introduction of the “Mac Retina Display,” which is said to have a very high resolution. ABC News has similarly heard from its own sources that both the next MacBook Pro and the iMac would be getting very, very high-resolution displays. Apple refreshed its new iPad with a Retina Display in March. It seems natural that Apple wants to move all its displays to the retina standard. But, it’s unclear, how Apple will implement the increased resolution given that most Macs already approach Retina resolution at typical viewing distances. Apple's much-rumored 15-inch MacBook Pro will reportedly receive a new design that will be considerably thinner than the existing MacBook Pro due to the removal of the optical drive. While many have speculated that the new 15-inch MacBook Pro will pickup the design from the late-2010/mid-2011 MacBook Air, sources familiar with the prototype units say that this is untrue. 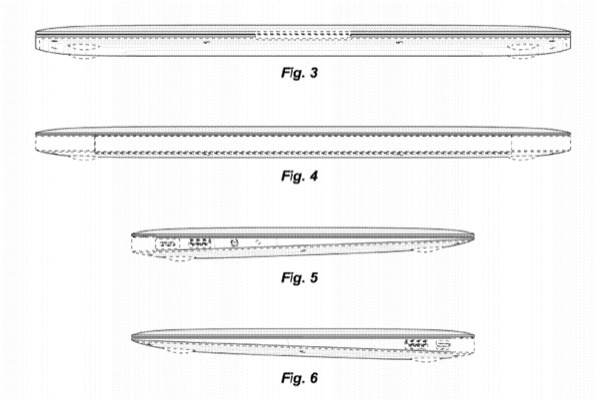 Instead, the new 15-inch MacBook Pro is described as being an ultra-thin version of the current MacBook Pro. Basically, the prototype design is a thinner, yet more robust, version of the late-2008 design. It has no tapering like the MacBook Airs. Dr. Atakan Peker, who discovered and developed the formulation that later became Liquidmetal, said in an interview with Business Insider that Apple would need investment of $300 million to $500 million and over three years to ready the technology for mass-production of its electronic devices. He also mentioned that there is "no suitable manufacturing infrastructure yet to take full advantage of this alloy technology." "This is a technology that has yet to be matured and perfected both in manufacturing process and application development," Peker said. 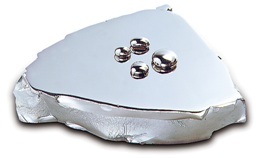 "I should note that this is a completely new and different metal technology."